Take a break from the modern shops and bustling crowds in Shanghai and head to ancient Zhouzhuang for the day. Tour this historic ‘water town’ lined with ancient canals with just your friends or family and your guide; on this private tour, there are no strangers to slow you down or distract you. 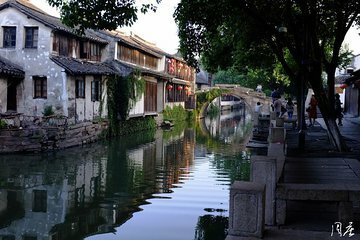 Cruise along one of the town’s canals in a wooden boat and visit landmarks and buildings built way back in the Ming and Qing dynasty.